By Sydney Spicer in Special Events, Uncategorized on February 16, 2017 . Thursday morning I woke up around 2 AM, and looked out my window to see before me a winter wonderland. It was the picturesque snow – the one which rests easily on the trees and transforms your whole view of the world. It was gorgeous. I promptly appreciated it for a minute, and immediately fell back asleep, because nobody needs to be awake at 2 AM. Now many of you may be thinking, “Oh cool, a snow day!”. I hate to break it to you, but absolutely not. Very rarely do we ever get classes canceled here at our little mountain college. You see, we are hardened to the snow here. We are unaffected by the cold. We are winter warriors! …sort of. 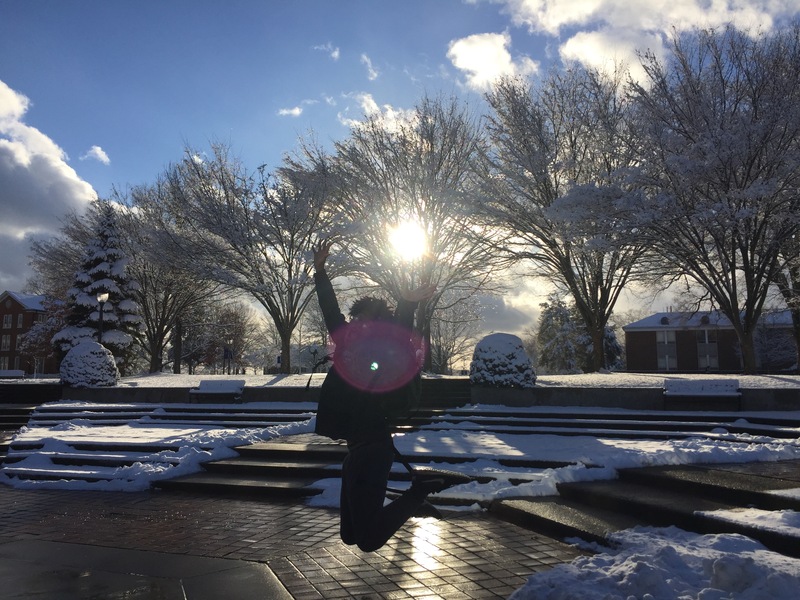 Because most of our professors live in town, and Pennsylvania is well educated in snow removal, classes being canceled is a rare treat, but that doesn’t mean we don’t enjoy the winter weather. After classes were over on Thursday, a few friends and I took off to frolic in the snow. The fresh powder wasn’t quite right for building snowmen, but we did throw a snowball or two. It was perfect for writing giant messages in the snow, taking a walk around campus, and finally, finishing the day with a walk to the cliffs. 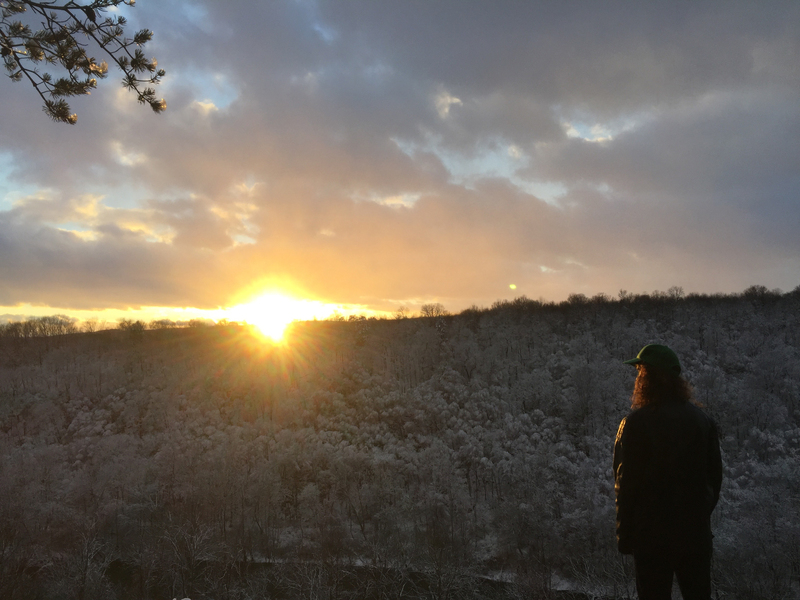 Only a few minutes walk from main campus, the cliffs are a Juniata gem. The views are breathtaking, and while it looks good in every season, there was something magical about that landscape being covered in a fresh blanket of snow. 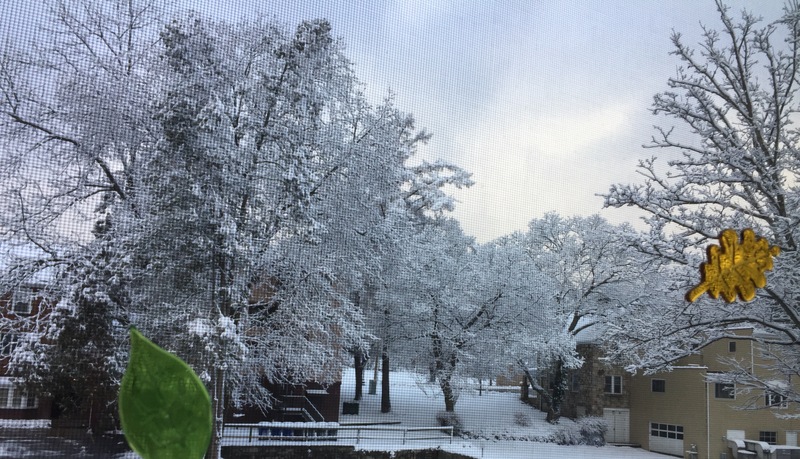 Of the things I’ve learned being at Juniata, there is one main one that comes to mind right now: very few things are more beautiful than Juniata with a fresh coat of snow. I mean, just look at those pictures. So yes, while we don’t get very many classes off because of weather, we still get to enjoy the fun of the snow and the beauty of central Pennsylvania, which all in all, I would consider a win.